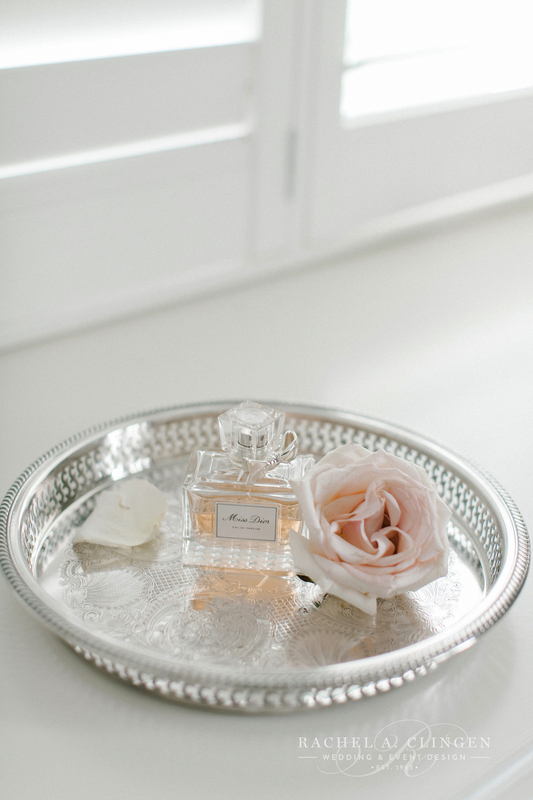 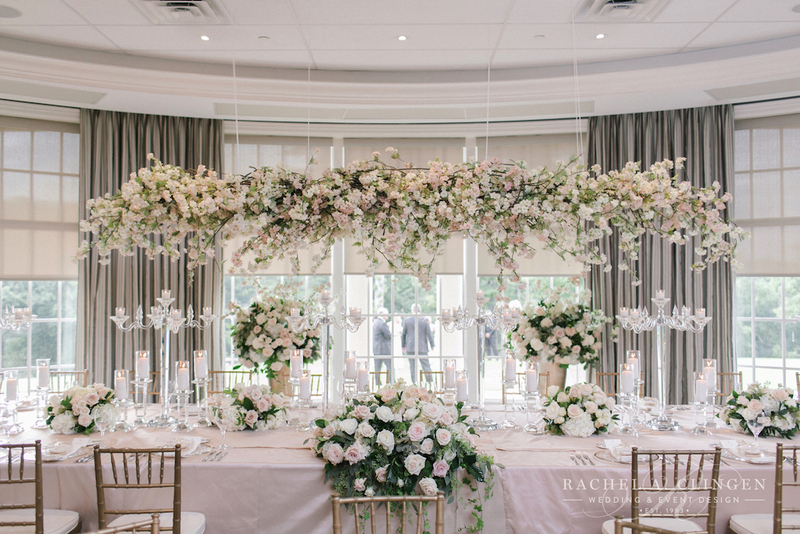 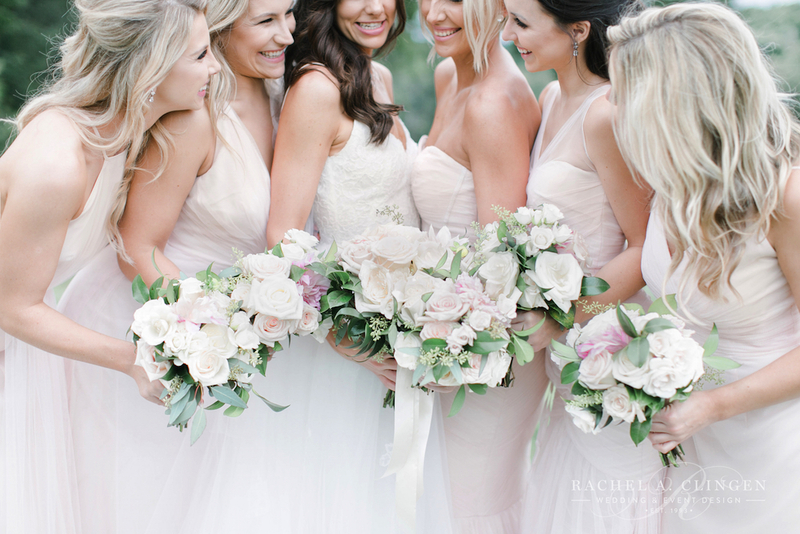 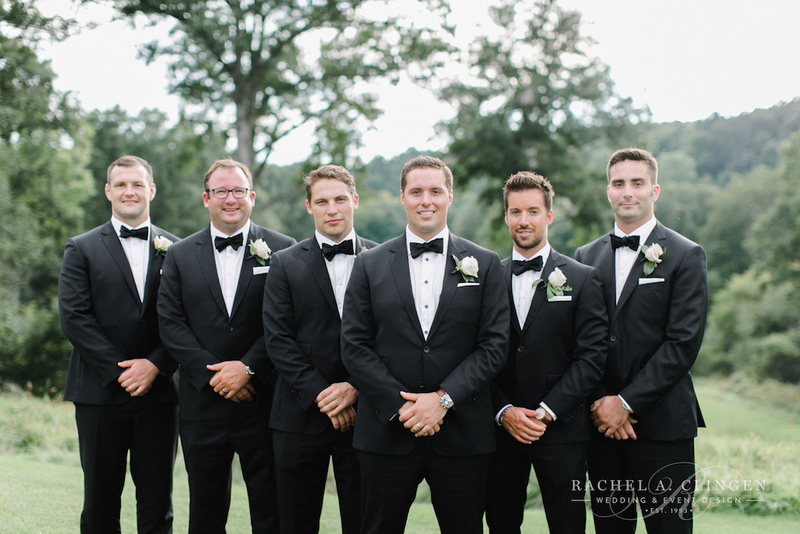 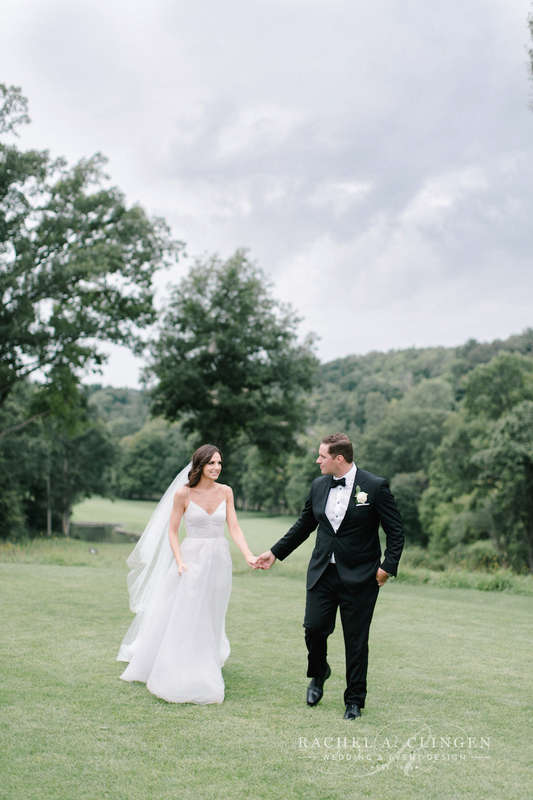 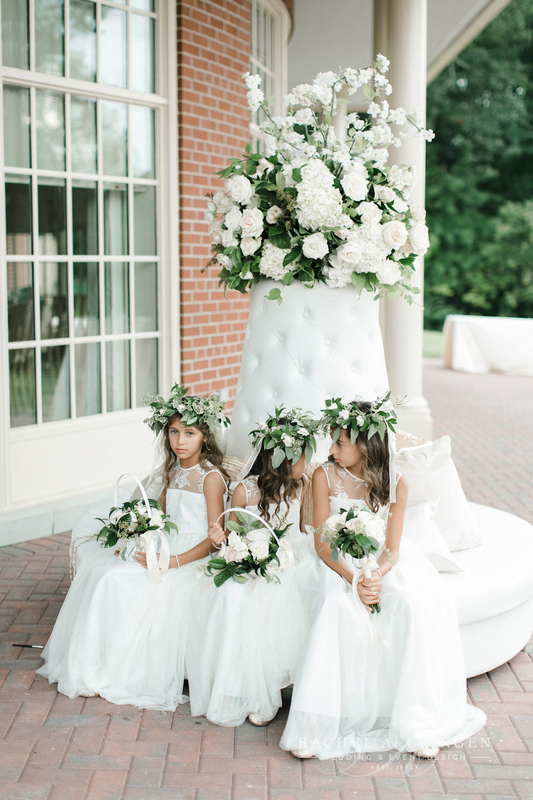 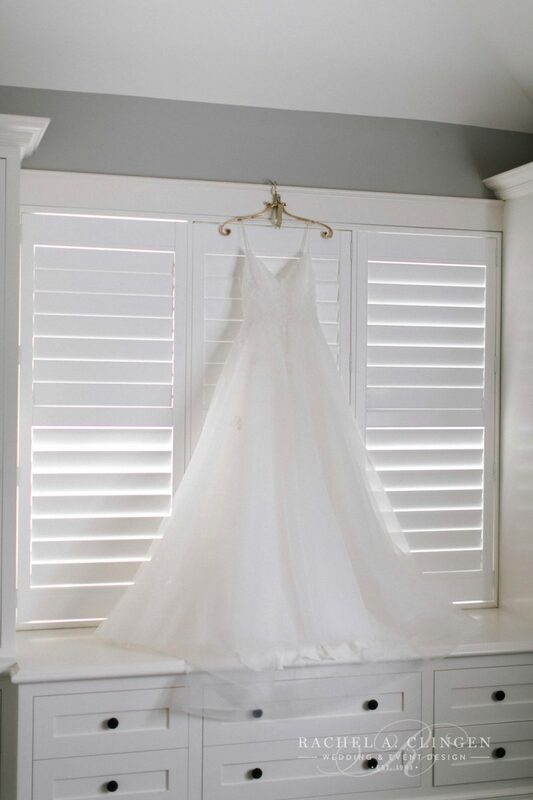 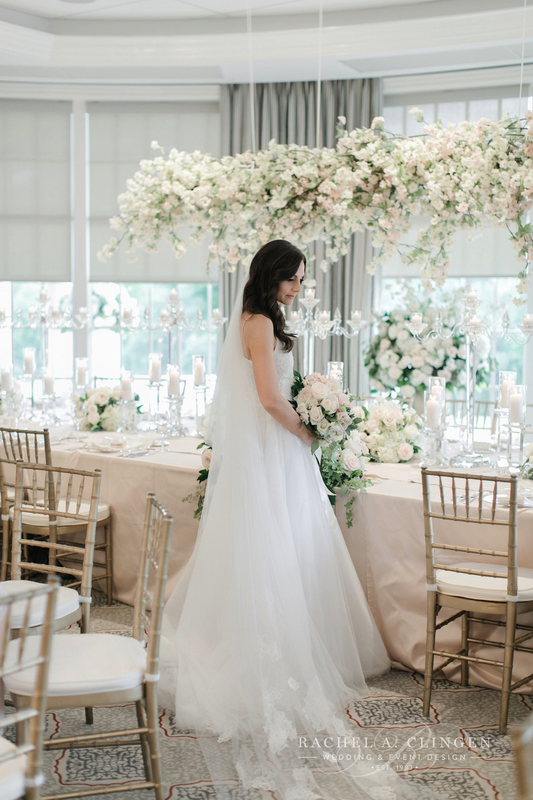 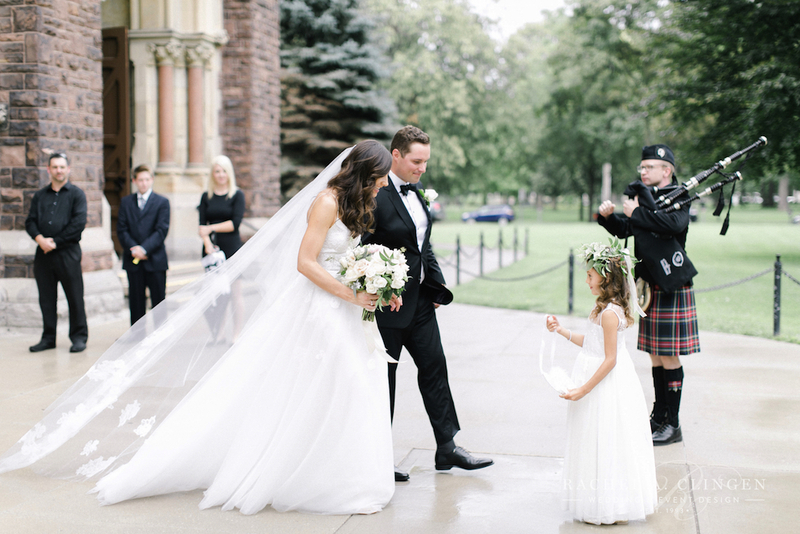 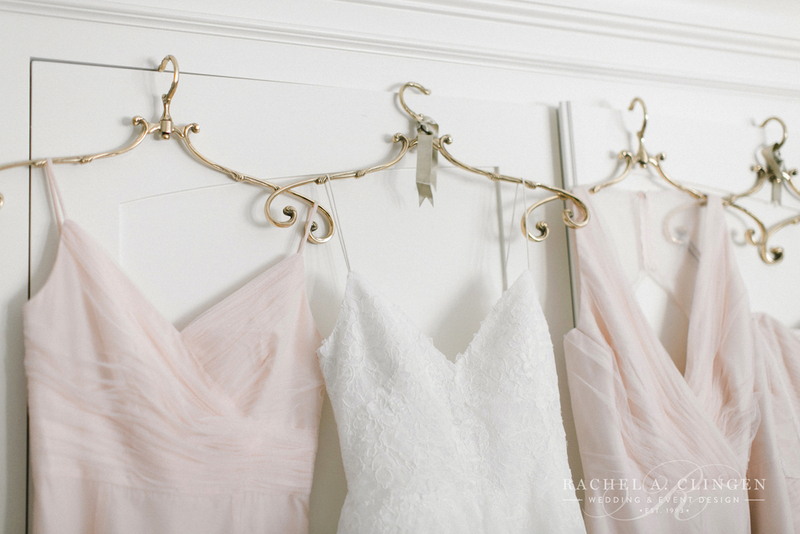 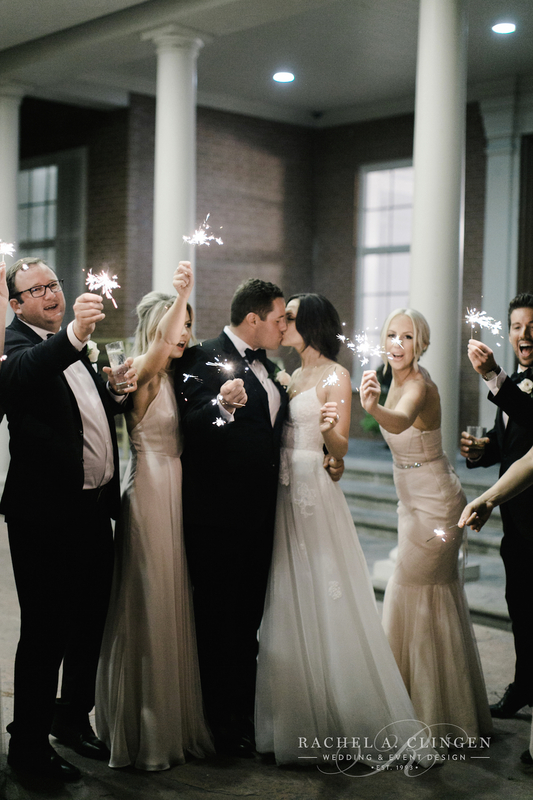 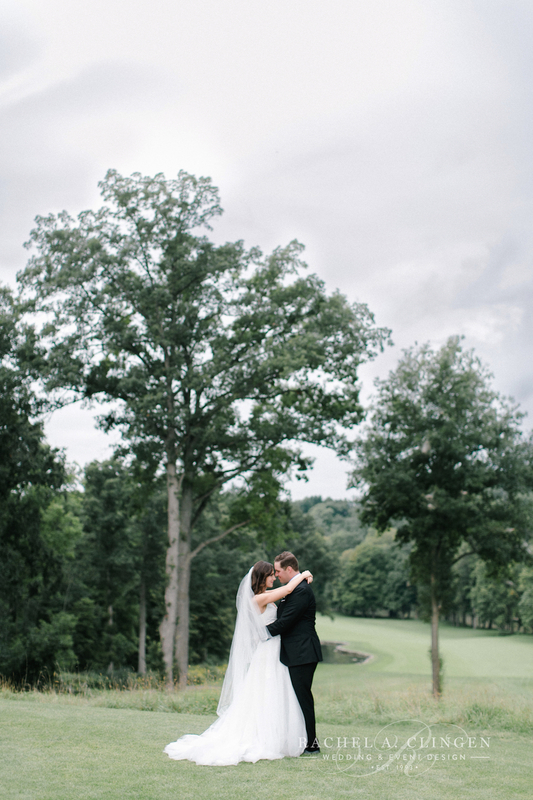 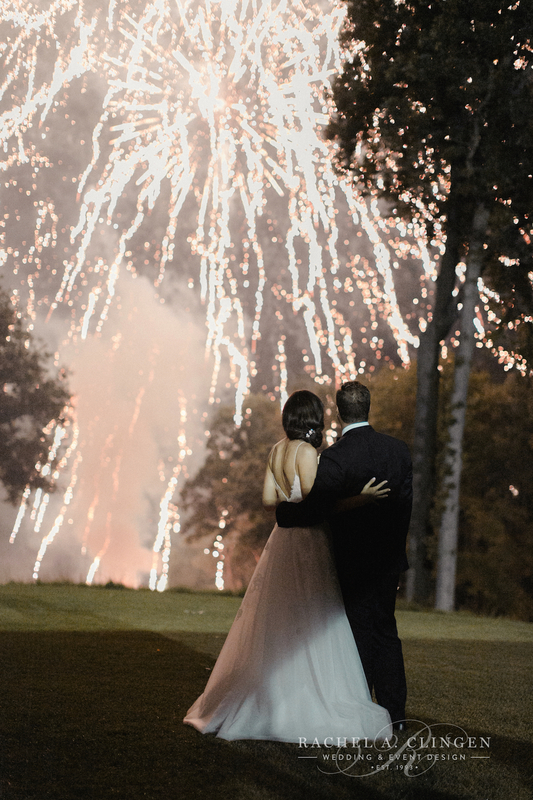 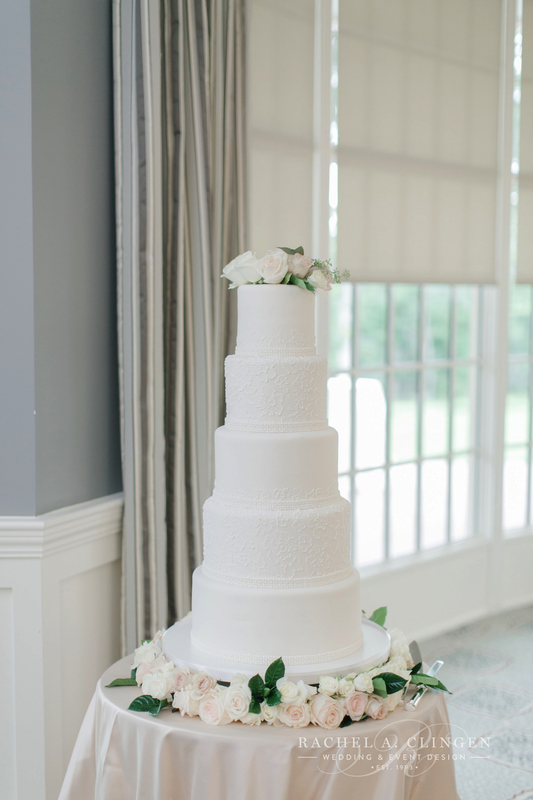 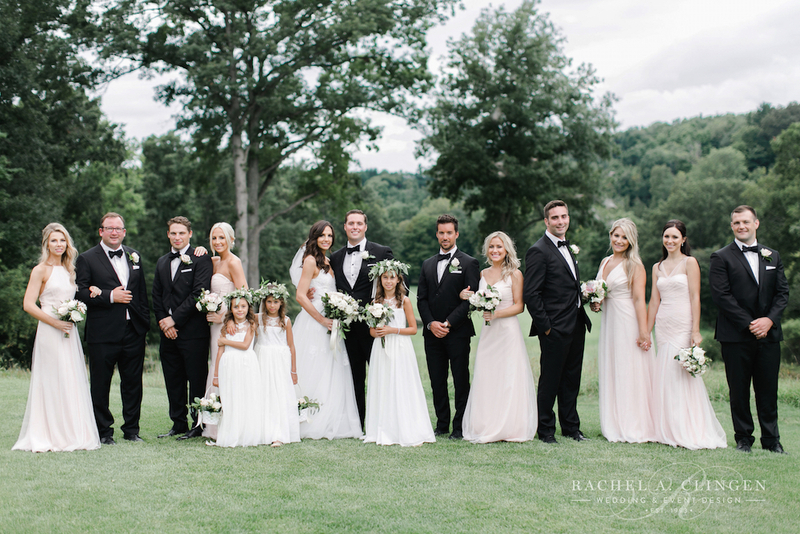 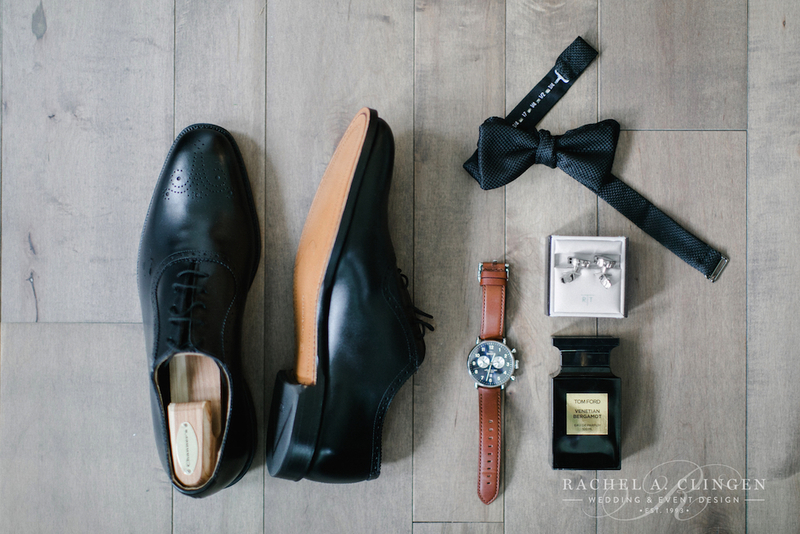 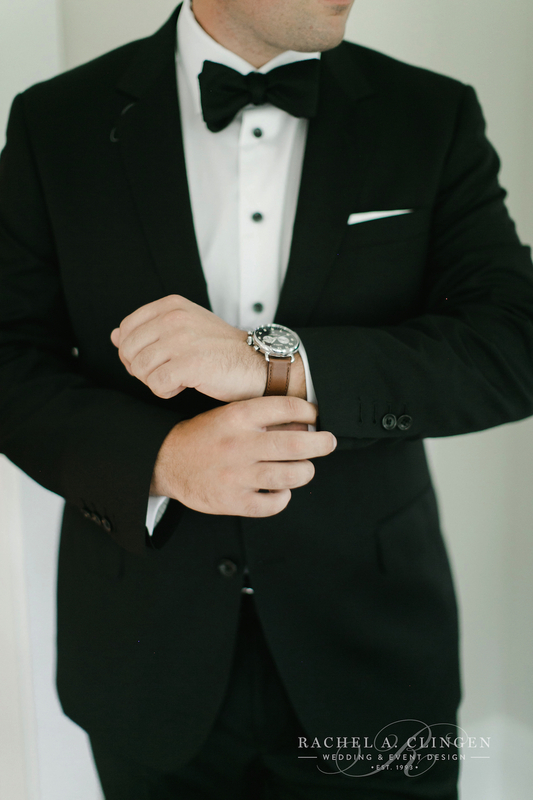 Meghan and Tim’s beautiful wedding at the London Hunt Club in London Ontario welcomed summer with plenty of love and a room full of pretty blossoms. 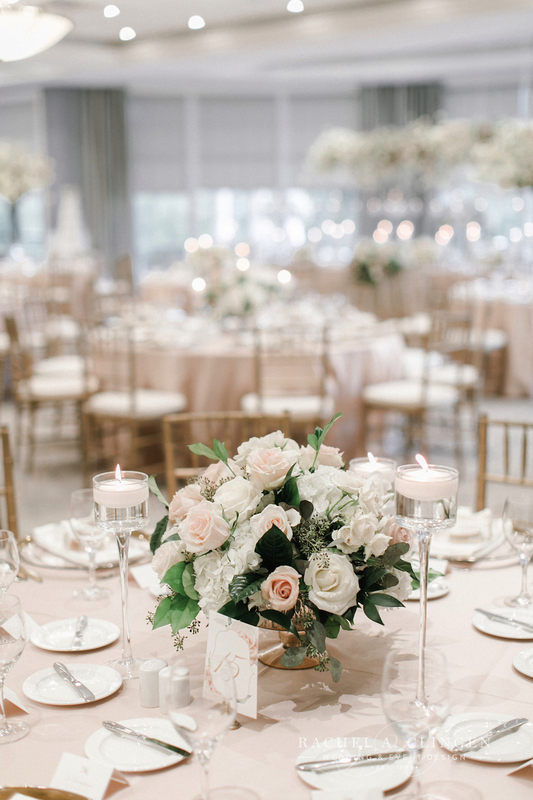 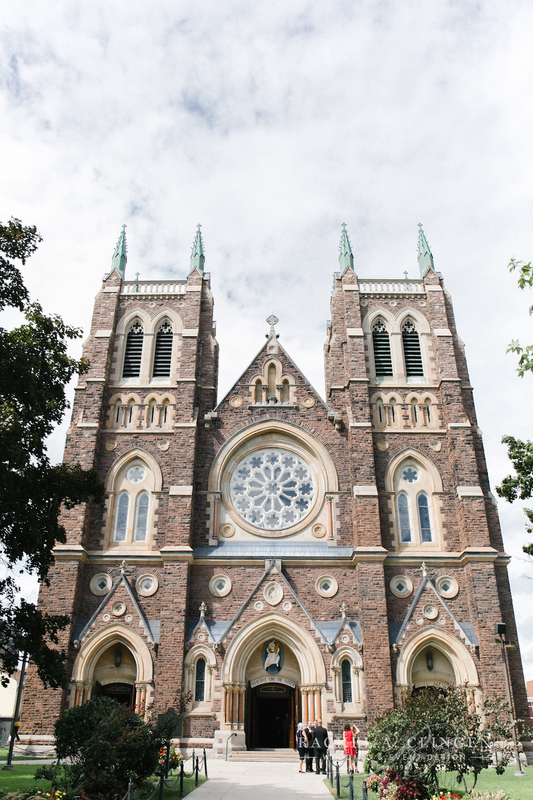 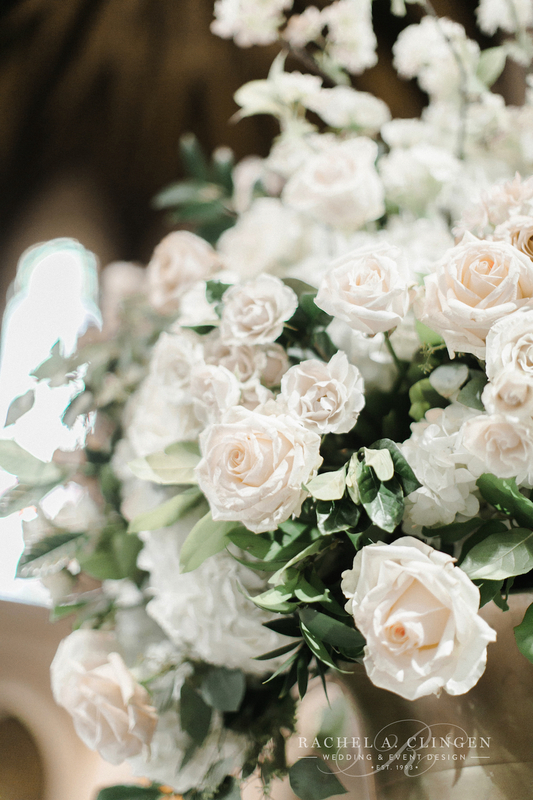 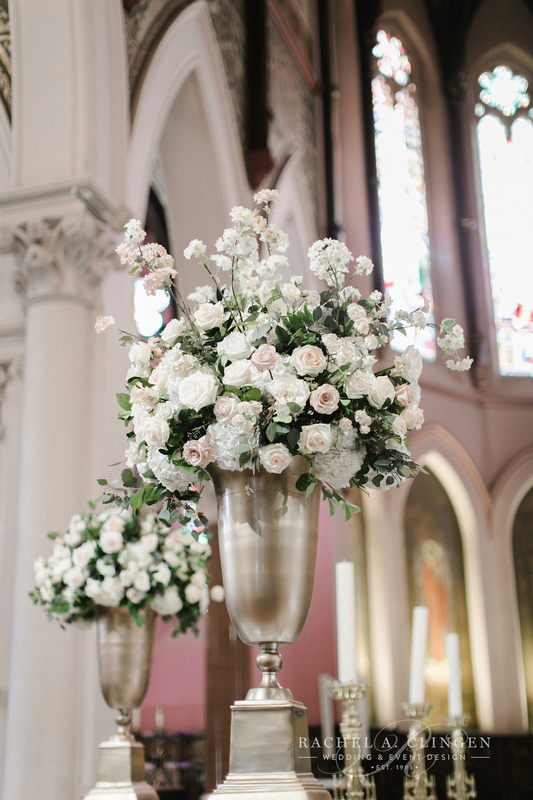 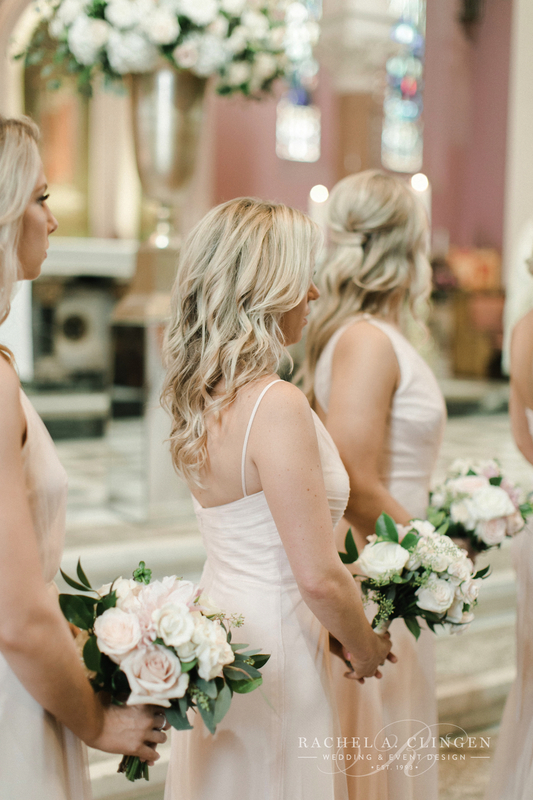 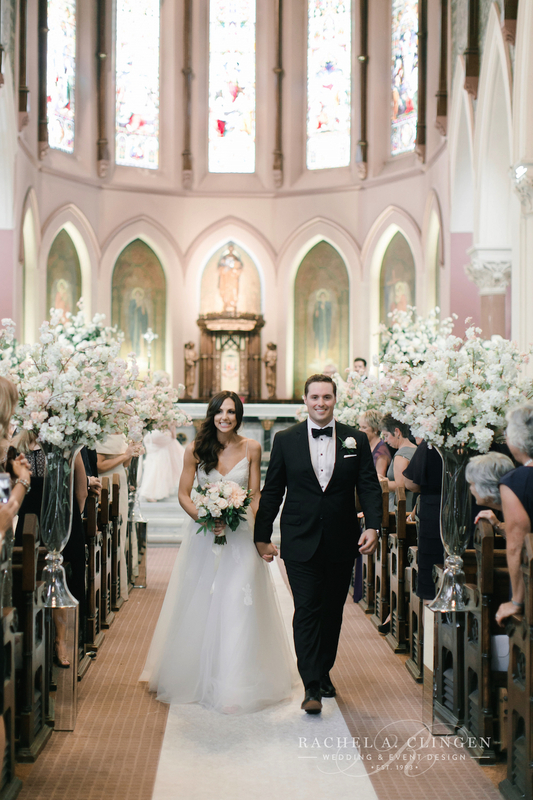 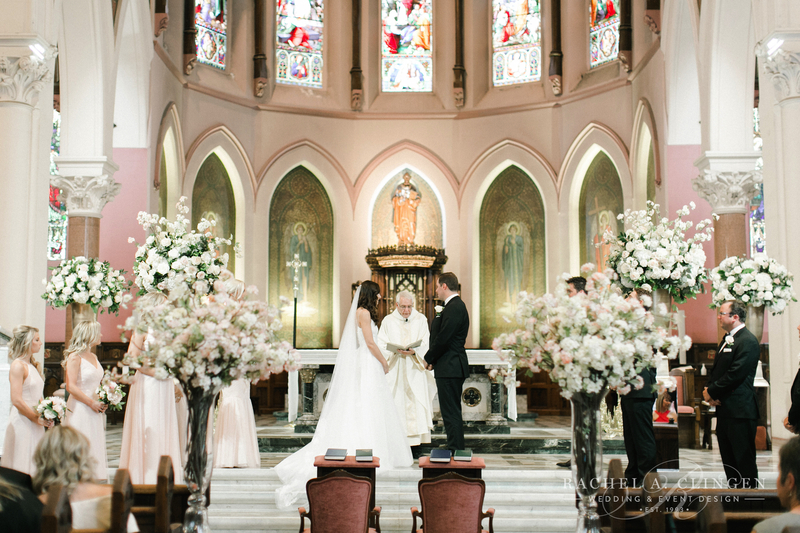 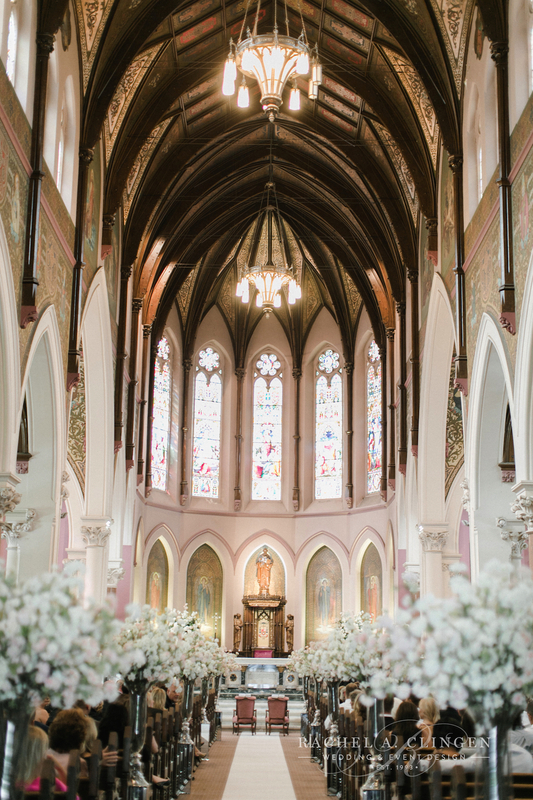 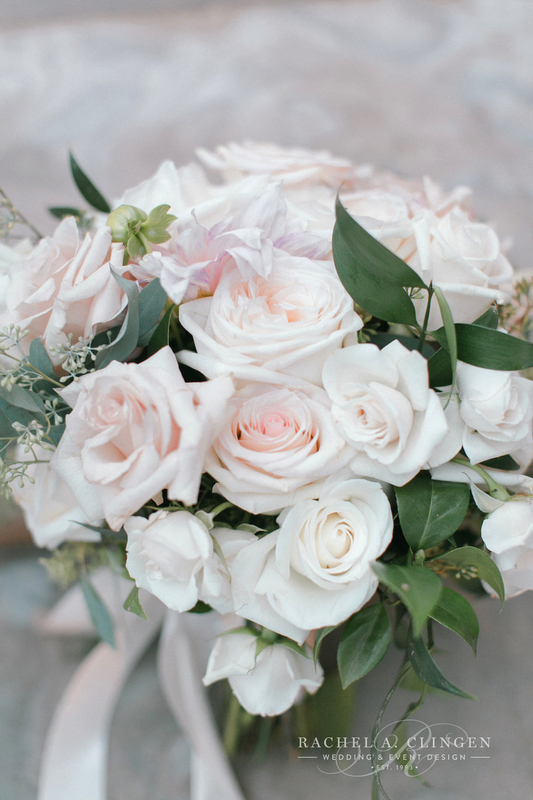 The gorgeous and historical, St. Peter’s Cathedral Basilica was fragrant with fresh garden roses and cherry blossoms in soft hues of ivory and blush. 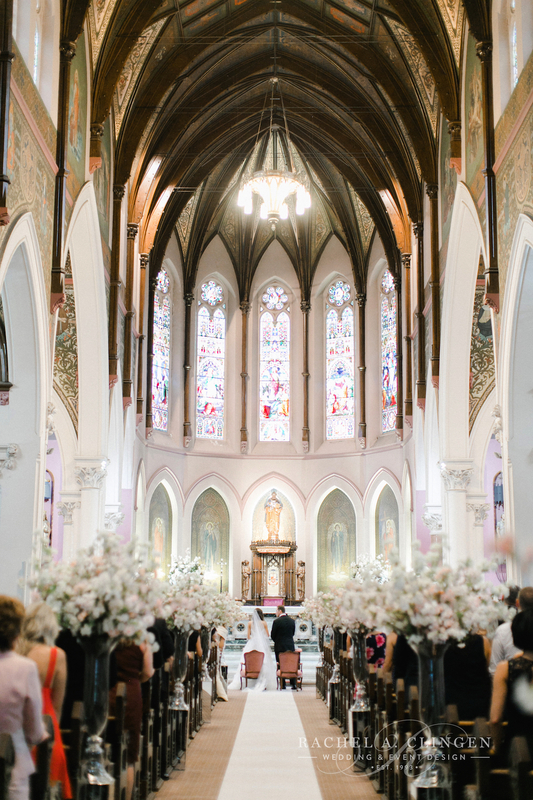 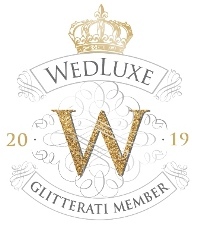 Meghan walked up an aisle lined with cherry blossoms which added floral elegance to the London church. 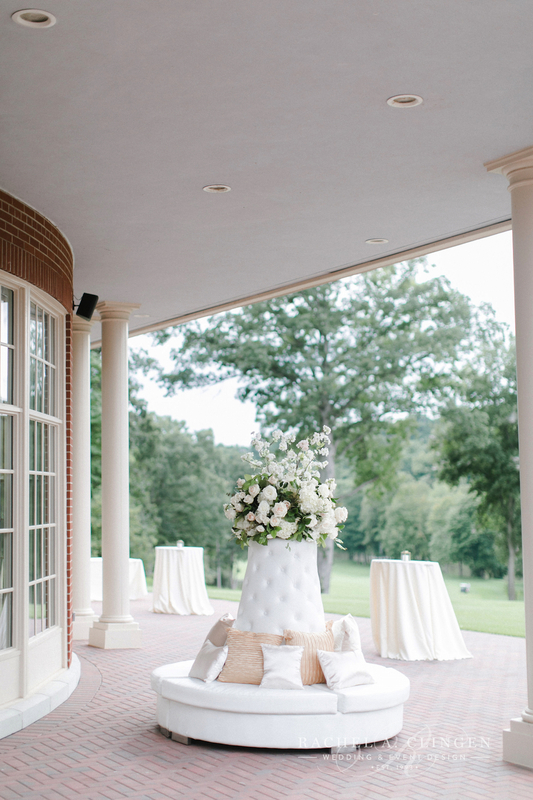 Later guests would be received and dine at the iconic London Hunt Club. 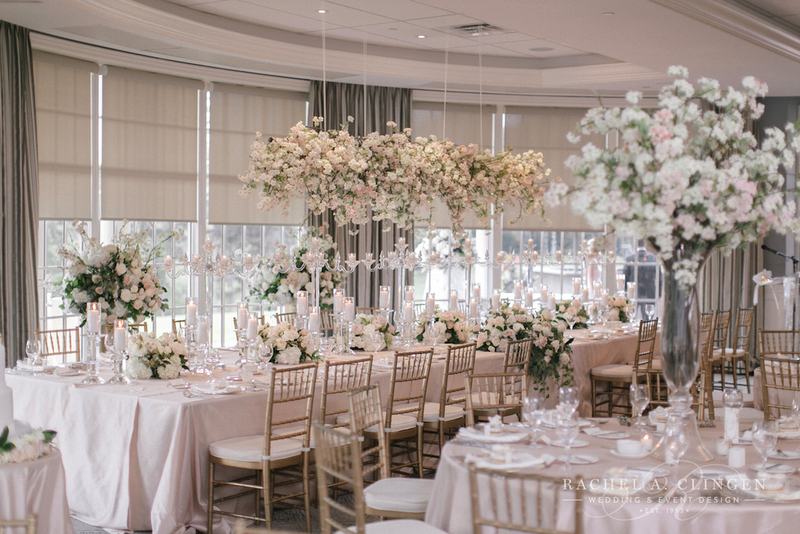 The flowers and decor captivated guests but it was Meghan and Tim who stole the show. 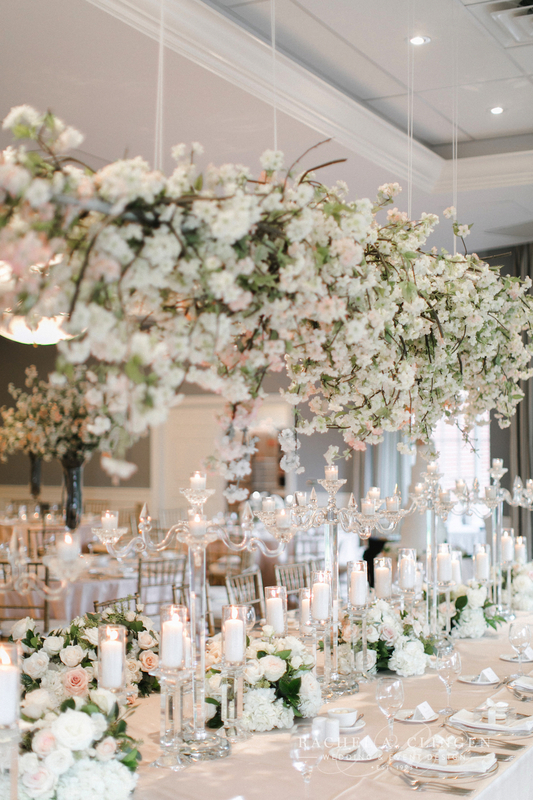 The beautiful couple dined under a suspended cherry blossom canopy created by our team and were surrounded by their bridal party. 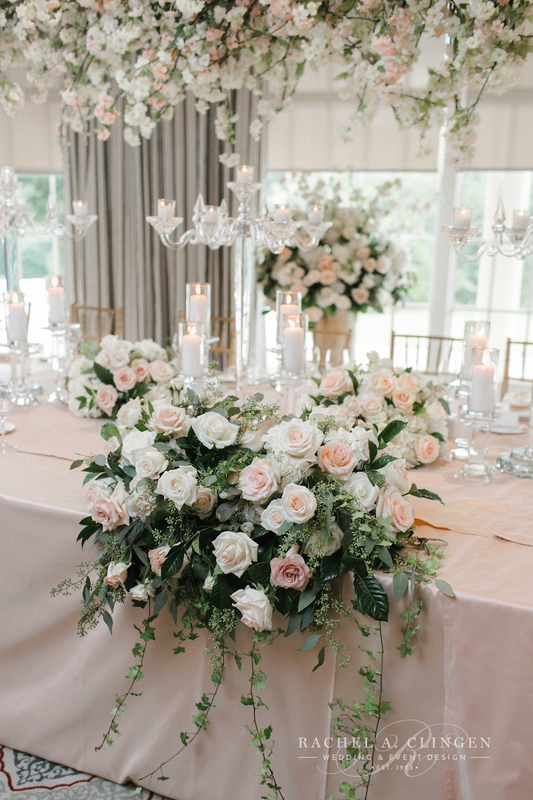 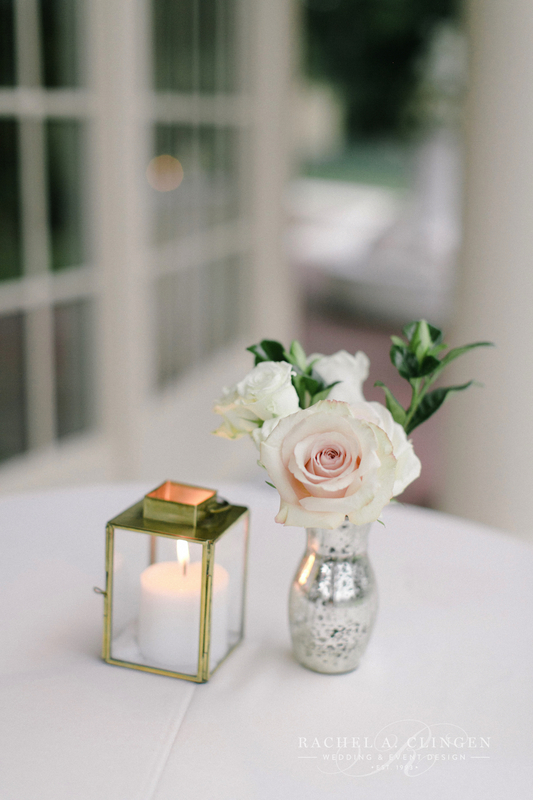 Our elegant crystal candelabras and candle sticks added romantic candle light to the room. 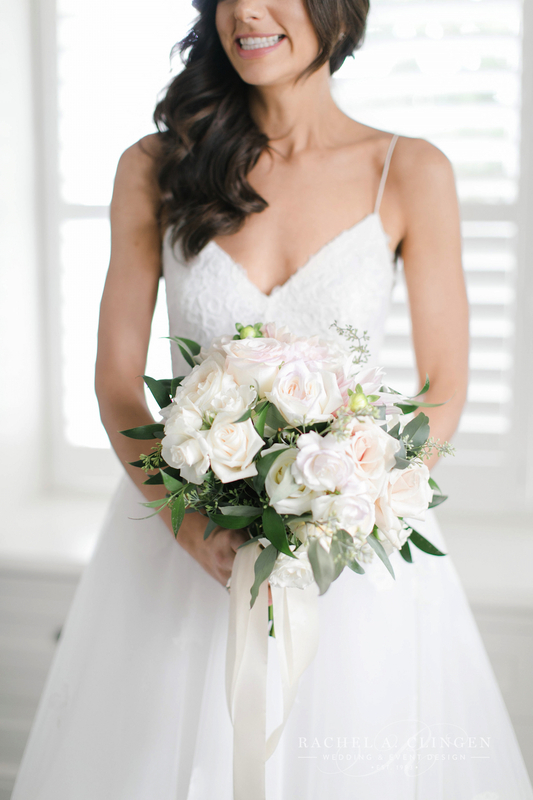 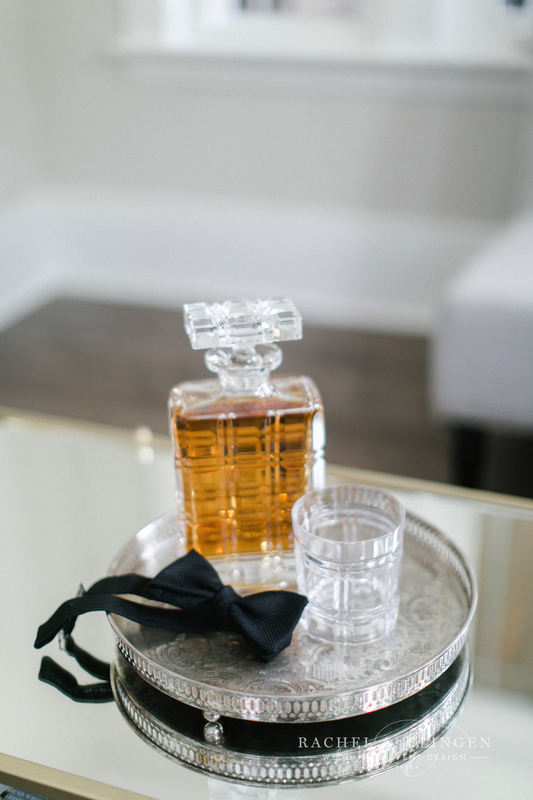 It was a wonderful day working with London wedding planner Lauren from Twelfth Night Events and Richelle Hunter Photography.